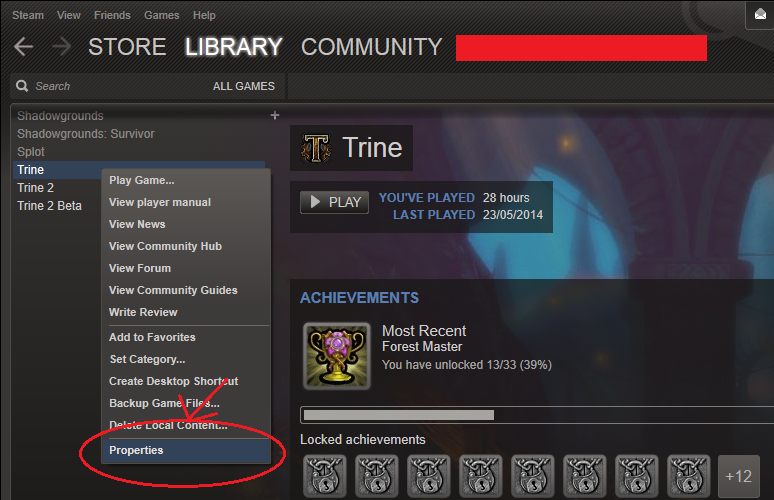 The most observant of Steam users already spotted a new Achievement for Trine called “Enchanted” earlier last week. I’m happy to clear a bit of the confusion today by revealing what this is all about. 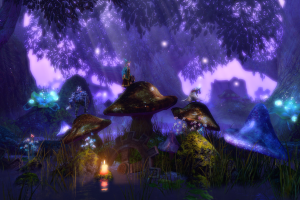 Trine Enchanted Edition is a port of Trine to the Trine 2 engine, and as a result, many of the “missing” features of the original game, such as online multiplayer, have been added! We have also updated the visual appearance of the game and improved the gameplay – the game should look and feel even better now. This is still under development and just the Beta-version. Bugs and issues are likely to occur as it is still a work in progress. We are launching a beta because we’d love to hear feedback before a full release. 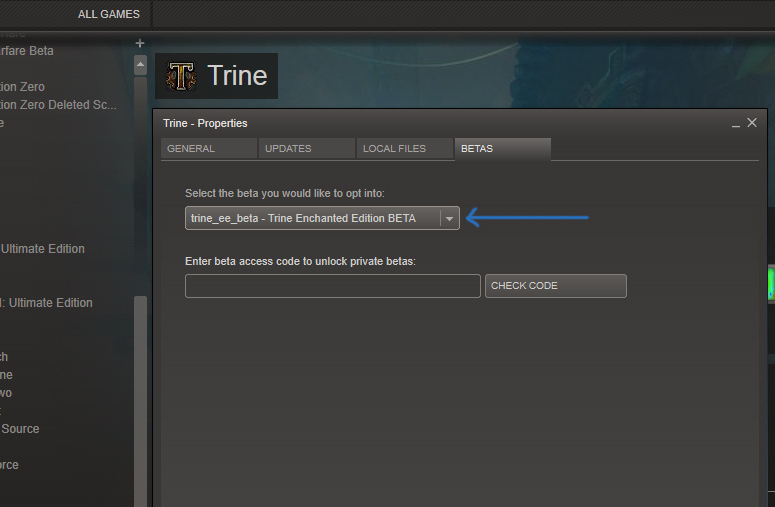 The beta and official release of Trine Enchanted Edition will be for Windows only at first. We will be adding the Mac and Linux versions of Trine Enchanted Edition shortly afterwards, but we don’t have a clear estimate of the time frame yet, because most people here are starting their summer holidays soon. Our apologies for the delay. If the code does not work, try to restart your Steam client. 5. 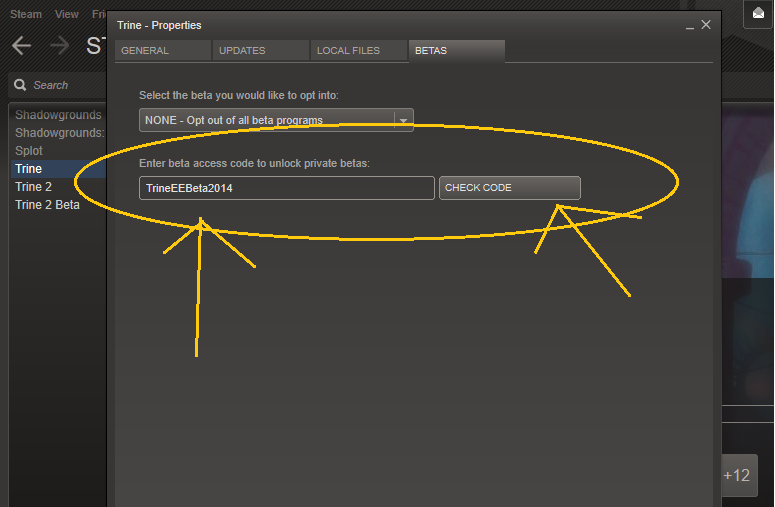 Make sure you have the beta chosen from the upper “Select the beta you would like to opt into:” menu and then close the window. 6. 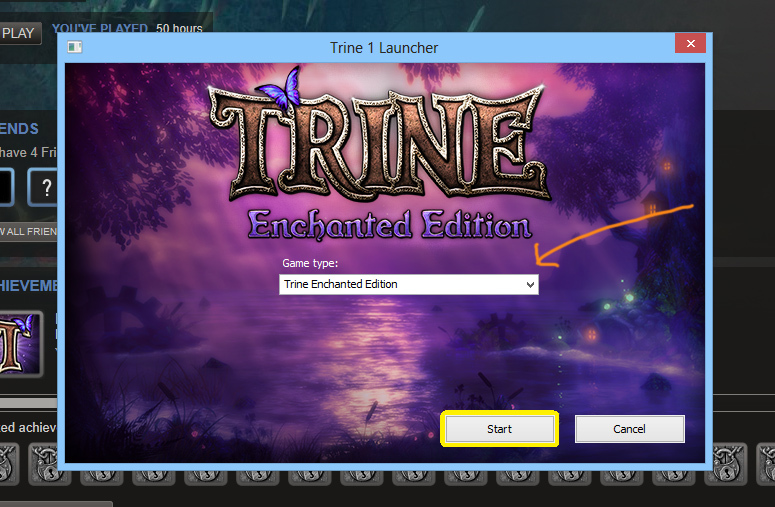 Make sure the Enchanted Edition is chosen from a drop down menu in the game’s launcher when you start Trine. Please refer to this Steam thread for instructions on how to report issues. We are also updating all the known issues into that thread, to try and keep everything in one place. General feedback is always welcome of course. On a final note; our office will be closed due to a bank holiday from Friday 20th until Sunday 22nd of June, so please understand that we might not be replying during this time. Please feel free to submit comments and bug reports while we’re away, we’ll return on Monday and look forward to reading them! Great news, I’m especially excited about online multiplayer. Thank you! I’m shocked, astonished, speechless. There never was and never will be developer comparable to you my dear Frozenbyte, you are my gods. Releasing patches to trine 2 to this day, adding new features into it, releasing on new platforms… etc, etc, etc. And now even more, re-releasing this enchanted edition of the first trine. I’m enchanted by you Frozenbyte. This is awesome!!! 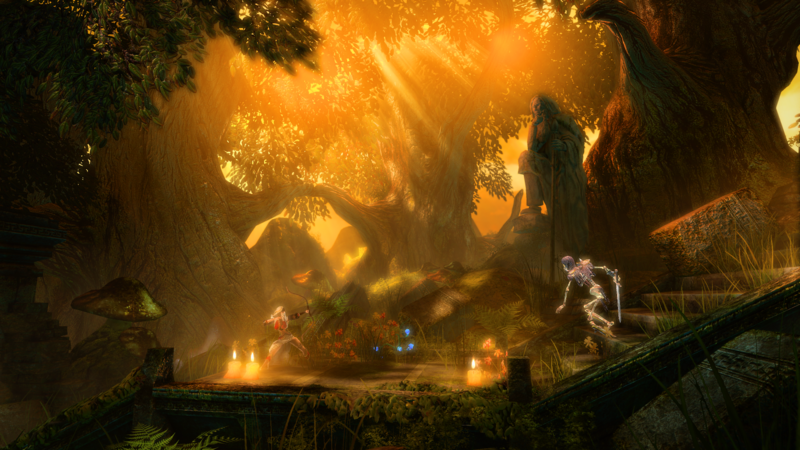 It isn’t a Trine 3 but still….I’ve always wanted to enjoy Trine online with friends, so i am really excited. I’ve dreaming about this since Trine 2 was released. Thank you! Wow. You are an amazing developer, no doubt. Just super generous. 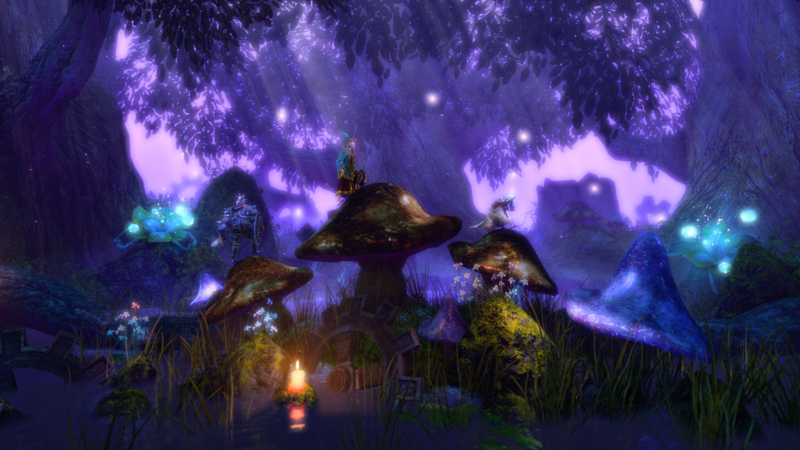 Trine 2 was one of my favorite games of 2011, and Trine was great. So this is awesome. I have to agree with spectatorx. I was in no way expecting this, let alone for free, I wish many other companies were so dedicated to their games and their customers as you. Nice work! Do you have plans to release this on PS4? Thanks 🙂 Porting Trine to the Trine 2 engine has technically made it possible to bring it to new platforms, but we can’t confirm any plans yet. It’s awesome that it’s possible! Please do it. 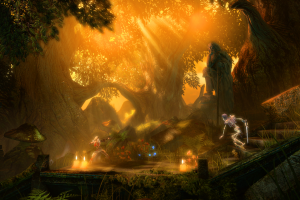 =) Imo Trine 2 is the most gorgeous game I’ve seen on the PS4 on my 60″ Plasma and I’d love to see Trine 1 on it. I’d like to thank you for making your games available DRM-free on GOG.com, my distribution platform of choice. It is great to see that you are enhancing Trine with these improvements and it would be fantastic to be able to play the new version of the game. I own both Trine and Trine 2 on GOG.com and am wondering if these enhancements will also be made available to GOG customers also and if so do you have an idea of when we might expect the update? Just curious as it sounds like it will be cool. There are many other GOG customers wondering the same thing as well so I thought I would ask here and find out directly if possible. Thanks for supporting GOG.com and its customers, we love your awesome games! 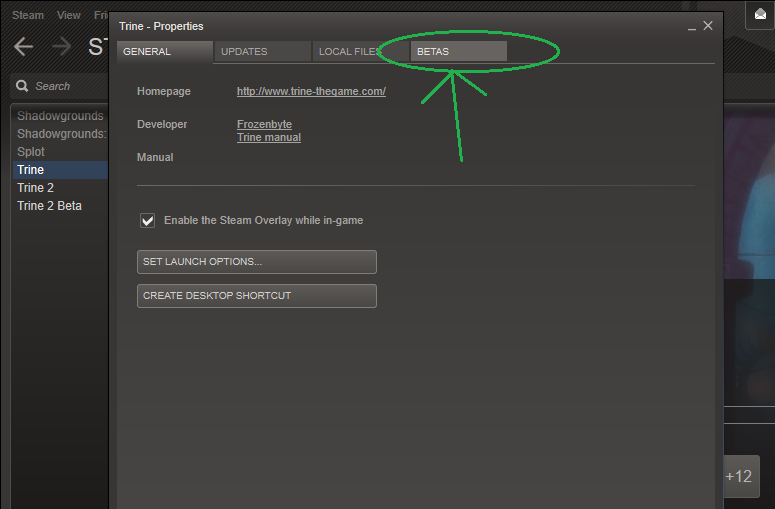 We’re starting out with a beta on Steam because that’s the easiest platform to update. Right now we’re gathering feedback and rolling out updates based on the feedback and known issues. We will release Trine Enchanted Edition on GOG, Humble and other DRM-free platforms, once it is officially released and out of beta, and as ready as possible. I hope you understand and sorry for the wait! Totally understandable approach for the new content. Thanks for the rapid response, I didn’t expect to hear back so quickly! This is great news to hear and I’m sure many other GOG customers and other store customers will be very happy to get the new material as well. The Steam users can find all of the bugs for us hehehe. Thanks again for the information, looking forward to it when the update is ready and available to us! Take care! I’ve also purchased through GOG.com, and hope that this new version will be a free addition just as it will be for Steam users. It would be odd to see a preference shown to only one platform. That being said, I appreciate the update to the game. As well, thank you very much for the effective communications. I can only chime in with what the others said – I’m enchanted! You are and forever will be my favorite developer. Giving us the possibility to play the first adventure with my friends over the world is a thing I have always dreamed of and I’m excited to go on another adventure with Amadeus, Pontius and Zoya! This is amazing. I would pay great money to be able to play Trine in coop, and then you’re giving it to us for free. It’s very generous and extremely nice. Thank you so much, and I can’t wait to play it again! Thanks Frozenbyte! That’s very generous. Thank you all for all the feedback and support, we really appreciate it 🙂 You guys are amazing, we’ve gotten a lot of bug reports and comments that have been very helpful! Frozenbyte really are a marvel among game developers. I remember that once I have sent them a negative feedback: It was when they provided the Dwarven Caverns map only to Nintendo players – I felt cheated. Needless to say, soon after, the map became a free update for everyone. When I asked them if I could use the music from Trine 1 as a background for my vacation video on YouTube, they gave me their permission. 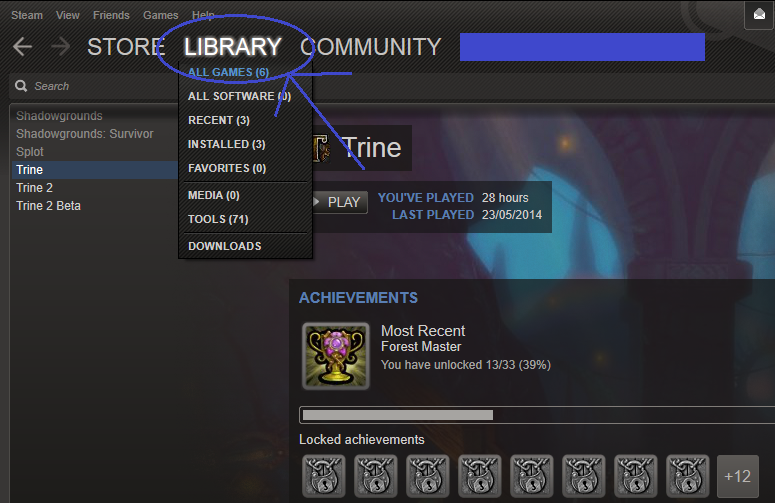 I have to say I was given by a friend who games, Trine 2. What a stunning game! I am so happy you added the features of the newer software engine, and the graphic qualities. I have a great system to run this on and can turn all the bells and whistles on. There isn’t anything You put in I can’t see! I am hopeful that when I go back and play Trine 1, and I will, I get to have the experience that I had when I first opened Trine 2. You didn’t have to do this for us but I am grateful, because it makes the game so awesome. What’s with the ppl which only got the Retail version of Trine 1? I cannot activate my retail version on steam so.. This is very exciting news! It will finally exceed the limits of the original AND will still be faithful to it. Just one question, would the DRM-free and retail versions be included in this edition? The DRM-free versions we have on Humble, GOG etc. will get patched with the Enchanted Edition once the game is officially released and we’ve polished it more (With both the old and new versions playable of course, like on Steam). How will sending an email of requesting Steam keys of the retail version of Trine work considering my retail copy doesn’t have a product key? And I also have lent the game to many people, just to spread this game’s awesomeness, I would actually tell them the great news. Sorry for the delay with replying, our website had a bit of trouble. When you take the time to ask us about this topic on our blog/forums, I think that is proof enough for me or our support team to provide you with a Steam version of Trine. Hi frozenbyte. I recently bought trine 2, and finished it in one sitting with my gf. the game was so amazing, entertaining and beautiful that neither of us could leave the couch through the entire game. tears were everywhere when the game ended, and Amadeus had his wife back. Now we finished trine2 for the third time, (we have to go back morty!) I must get the prequel obviously. I really hope to see this game recieve the hype it deserves. can’t believe i haven’t seen before last week. greatest game ever played, hands down. please tell me that you are releasing a third one in a year or two? will gladly give you any comments i have when we’ll play the 1st. trine, but i’m sure it would be pure fluffing.